In the past, I have tended to be a baker and not a cook, following recipes instead of improvising. 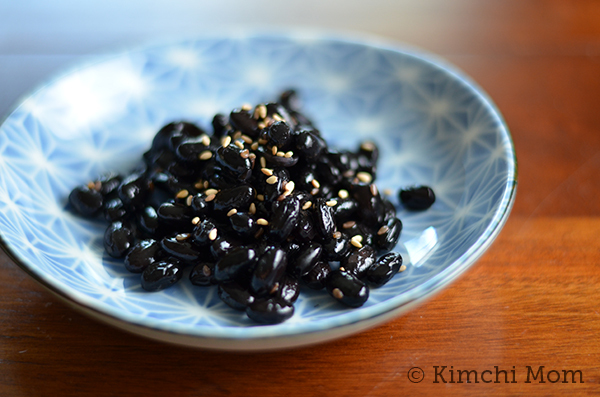 For a dinner recently though, I decided to cook Korean-style black beans to go with our dinner, a dish I had never made before. I followed the recipe as it was written, making sure that when I pulled the beans off the stove, they were neither too hard nor too soft as the recipe noted. A quick taste by a friend confirmed that they seemed underdone and needed more seasoning. But then it occurred to me that it didn’t matter at that point what the recipe said. If I didn’t like how they tasted – if I thought they were underdone and underseasoned – that was all the evidence I needed. “Wrong” in this case was determined by having them not taste very good, not whether I had followed the recipe. The person who wrote the recipe wasn’t going to show up and taste what I did and knock points off for my beans not being by the book. I put the beans back on the stove and added more soy sauce. As I ate the much better beans a bit later, I thought about the role that recipes and intuition play in our lives. It makes sense, in many cases and especially in the early stages of our life, to follow recipes, instructions, and the advice of others. When we’re young, those who are older, wiser, and more experienced can often give us invaluable insight that sets us in the right direction. As we grow older, the challenge then becomes balancing that guidance with listening to our own common sense and intuition. So much of our lives are built around following rules and having people tell us how to figure things out, that we often come to believe that we do not have the natural capacity for making certain determinations on our own. But we all innately have intuition and problem solving capacity. What we really have to do is learn to trust it.